Sheltered by Sierra del Castellar mountain range, Zafra is one of the most enchanting places in Extremadura. Although pre-Roman in origin, there are remains that suggest its importance as a part of the Roman occupied territory. With the fall of the Caliphate of Cordoba, it fell under the rule of the "taifas" (independently Muslim-ruled principalities) of Seville and Badajoz. Alfonso IX of León conquered the town in 1229, only to loose it again sometime later. It was eventually incorporated into the kingdom of Castile by his son Ferdinand III "the Saint" in 1241. The 15th century saw it become an important part of the estate of Feria, its wall finished and the citadel built. The people of Zafra played an important part in the discovery of America. The town grew in the 16th, 17th and 18th centuries to the extent of forming part of the Duchy of Medinaceli. 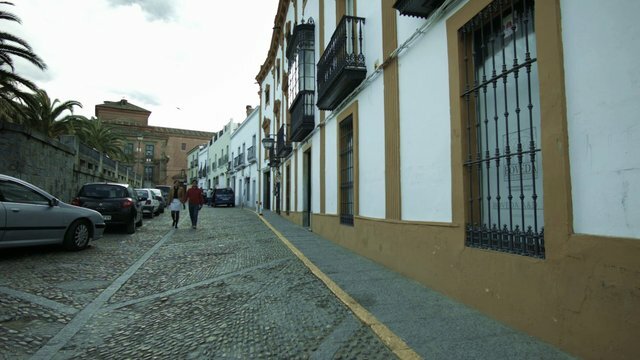 It became a constitutional municipality of Extremadura in the 19th century. The town hosts one of the most important livestock fairs in Europe, the Zafra International Cattle Fair, first held back in 1453. Zafra became an important commercial centre, given that it served as a meeting place for artisan guilds and social and religious institutions. This served to endow the town with a special charm, duly acknowledged in 1965 upon its town centre being declared a Site of Historic and Artistic Interest. You can start your stroll from the porticoed Plaza Grande, which is surrounded by 15th-century buildings and which is joined to the Plaza Chica by the Arquillo del Pan arch and a small altarpiece dedicated to the Virgen de la Esperancita. Nearby you have the Casa del Ajimez and the Monastery of the Encarnación ( 16th century), from where you can continue on to the Church of the Candelaria. A 16th-century building, its inside is worth a look for its impressive organ, the chapel of the Virgen de la Valvanera, the main altarpiece and another one designed by Zurbarán. From Plaza del Pilar Redondo, where you have the Town Hall, the Conde de la Corte Palace and the modernist houses, you can stroll on to the Alcázar de los Duques de Feria, a citadel that has been converted into a luxury, state-run hotel. Originally designed to defend the town, the palace interior is reminiscent of any ancestral house. Indeed, it has been subject to successive transformations motivated by the Feria family's rise up the aristocratic ladder. From here you can end your walk with a leisurely stroll along the town's most famous street, Calle Sevilla. The street combines modern commercial brands with traditional local ones, which have survived the passing of time. Be sure to take time out to rest and enjoy the dishes created from local produce and accompanied by a good wine. Should you prefer a country walk, climb the El Castellar mountains by way of the so-called coloured trail, the camino colorao. Some two kilometres long, this mountain route abounds in surprises and items of historic interest: cave paintings, archaeological remains from several epochs and a Moorish settlement are just some of the treasures ensconced among the top of these mountains. More information: Zafra tourist office.